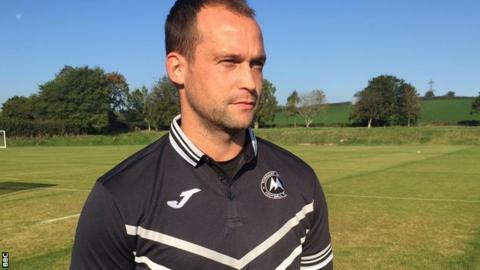 Torquay United boss Kevin Nicholson says his new-look squad must gel quickly if they are to avoid relegation from the National League. The Gulls are 10 points from safety and have brought in six new players since the start of the month. Meanwhile the likes of Waide Fairhurst, Simon Heslop, Louis Briscoe, Shepherd Murombedzi and Tyrone Marsh have left. "We've got a bit of a smaller squad, but I think the quality's high," Nicholson told BBC Radio Devon. "The attitude's right and they know that they're going into a huge month of football for the club. "They've got to gel quick, that's the only slight concern when you get new players in is that you need them to gel quickly. "On Saturday against Tranmere probably our biggest fault was that we looked a bit disjointed, but you had four players that were either making their debuts or starting their first game, so I could accept that a little bit. "I can't accept it any more. We've got to hit the ground running with all the new lads," he added.